This post had been a bit overdue. I write at my own pace and my own time, and theres a lot of things I have pent up, just awaiting its release. I just encountered a doldrum in the past few days, but by an unexpected stroke of the Hand, something happened. Something to form yet another effervescent smile on these lips. Another inspiration for the mind to become fertile once again. For this next piece, lets try mythology. Well, at least my own mythos. If you have an allergy for protracted (yet lovingly created) pieces, this is your warning. You can opt to walk away now, or just read on for the heck of it. 10 minutes of your life would be mine to devour. Now you must excuse me while I prepare to feast on it. Orpheus, had never experienced flying alone. He is a demi god, born of a mortal man, and the goddess Hera. He was born unto this earth on the advent of the most important of the year, the end of the crop cycles. Half-immortal, he'd been given gifts from his godly lineage: curly locks of golden hair, a fair countenance, divine reasoning, and the gift of music. However, these things were useless -at least, to him. He had always looked up to the sky, following the course of Apollo's chariot across the vault of heaven. He'd always imagined how it feels to break your bonds from this earth, and soar. This ability had never been imparted in his blood. How ironic it was that it was his earthly father, not his ethereal mother, who gave him this chance. As far as he can remember, his father had lived most of his mortal life laboring in the stables of the sun god Apollo. His father keeps the four steeds of the winged chariot as luminous as he possibly can. Like a half-deranged man he works thru the hours of the darkness, obssessed. He only goes home once the chariot and the steeds are perfect, ready for another journey across the heavens. Because of this, Orpheus never knew his father, other than that radiant man walking to his room across the hall, in the early hours of the morning. That was until, one day. The day Orpheus wanted to see the Isle of the Sirens. He had been here once before and this isle captured his imagination. 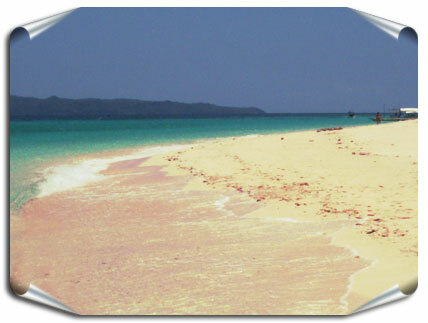 An Isle kissed by the sun and the sea, it is inhabited and frequented by the most alluring creatures anyone has ever beheld. You never run out of things to do here. Founts of bedazzling possibilities gush forth in every corner. The Isle had been breathing since the dawn of the world, and whosoever takes a whiff of its breath is lulled with the desire to always come back. One day, Orpheus' father gave him a glimmering stone that contained within it, a droplet of the sun. This is the token given to mortals who had been devoted to Apollo and his temple. The droplet always tend to follow the path of the solar disk, like a drop of water who has the desire to go back to the ocean. Whoever grips on to it, would be able to soar on the vault of heaven and fly higher than the eagles. He flew with the wind with a mingling feeling of unquenchable freedom and that underlying fear of falling to the abyss. Finally he was liberated from the shackles tying him down. This feeling had coursed thru his veins and if only he didn't have a set course, he would have opted to remain in flight till the droplet gives out. Orpheus saw the jewel like landmass in the horizon and channeled his will to the stone. He landed on the shimmering island just before the last rays of Apollo's chariot retired for the day. Orpheus had a glorious time on the Isle. From the moment he landed, till the time he needed to go back, there never was a dull moment. The debauchery was overflowing. The sights, the sounds, the mystical aura of the entire Isle enamored the demigod. But that is not the point of this tale. The story revolves around the encounter of Orpheus with the fabled Sirens of this Isle. In the beginning of his sojourn to the mystic Isle, Orpheus thought that he would be accompanied by his faithful companions, the muses Calliope and Clio, and the god of Wine, however the Fates had different plans for the two muses. Orpheus was set to explore the Isle by his own. Or so he thought. His first moon at the Isle, on the luminous beach, he was greeted by the bronze demigod whose beauty is undeniable. The first time they've met, they felt that they've known each other their entire lives. They'd have long and winding conversations that would last several moons. Never would one concede his point, and would find yet new threads to tie into the tapestry. In this verbal revelry, they found a higher level of Desire for each other. Dionysus was his name, the god of Wine and Bacchanalia. He had succumbed to the Isle's breath and had called the Isle his home. Having not seen each other for several moons, Dionysus, welcomed him into his abode. The first night their carnal lusts were satiated, the crows cried black tears until they became white. Unbeknownst to Orpheus, there lurk other entities in the abode of Dionysus. He shares the cavernous halls with a harem of Sirens. Bold, beautiful, seductive, deadly. Their external appearance is like a potent elixir that no man can ever resist. Not even Orpheus. But he knows himself well. In the hollow depths of his half immortal heart, his form is true. He knows what and who he wants. After several moons, the Sirens felt the need to make their presence felt. Their leader, Peisinoe the seductress, was the one who gave Orpheus her rules of the household. She revealed that she is eldest sister and the sole owner of the abode and she only allows whoever she chooses to stay. Her edicts were strict and you could see the fierceness in her eyes like they were glowing embers ready to set you ablaze. 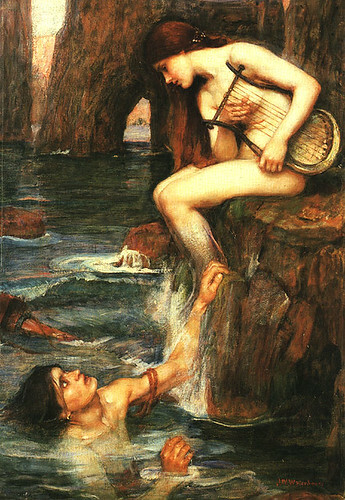 To all of this Orpheus surrendered his will, for the spell of the Siren was just too much to handle. Dionysus could only look on because his devotion to the Siren is deep rooted. The Sirens were nocturnal creatures. When the chariot of Apollo is blazing across the sky, they find refuge in the shadows, however once Artemis' mirror is ruling the vault of heaven, they come out. Robed in vestments of every imaginable degree of seduction, they fly out into the night ready for next hapless mortal fool who will cross their way. Once you are in their spell, your soul is River Styx-bound already. However, if you happen to catch their fancy, they would fly you back to their domain and keep you there until they want to. Demigods take first priority though, and stay the longest. However, as the Fates would have it, the stay of Orpheus on the Isle wasn't as grim as its was supposed to be. What happens next? Well, first of all, if you are still alive upon reaching this point, I congratulate thee. However, the left hand that holds the pen is weary. A second act is in the works.